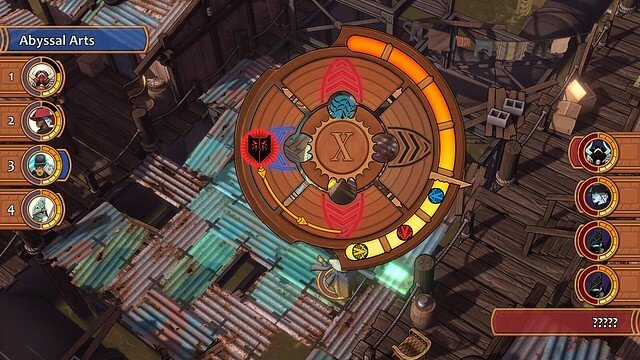 City of the Shroud is an RPG strategy game that uses a real-time, combo-based battle system. This heavily story driven game is developed and published by Abyssal Arts Ltd. There is no wasting time diving into the grit of this dangerous city named Iskendrun, so I will not dilly dally in telling you all about this awesome game that I can barely put down long enough to type this review. For the most part, the player’s character seems to be a genuinely, kind hearted individual who only seeks to help others without expecting anything in return. The player is allowed to name this cloaked character, but no other details or options, such as facial features or gender, are given just yet. Within the first five minutes of City of the Shroud we bribe a guard to grant us passage without papers and run into a mysterious hat merchant. This sarcastic haberdasher teaches us all about fighting the monsters that come out of the sporadically appearing portals. The dialogue is the strongest piece of this game, from the witty remarks that indicate the characters acknowledging they are part of a game, to the drama occurring between opposing factions of the city. There is no wandering around and talking to strange NPCs. Moving between places is done by clicking on a marker on the map. 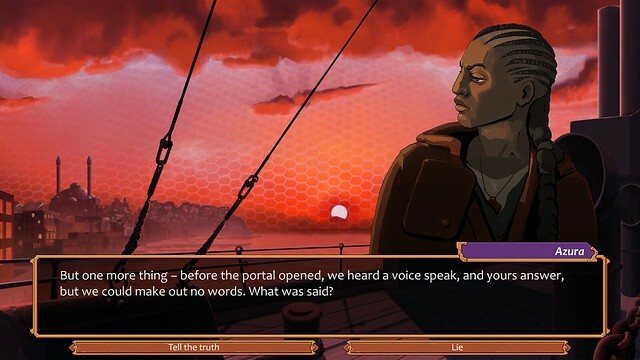 A landscape loads, a ship in front of a sunset for example when visiting the merchants at the docks, and the character appears. The avatars and scenes are drawn in amazing detail and with obvious incredible talent. Some of the art is reused, but only between the minor characters. The image shifts between the main character and the other so the player knows whose dialogue is in the box. The appearance of the text is accented with a neat scribbling sound effect. The first major decision is to choose our allegiance; each character, such as Sohrab, the leader of the city guard, cunningly gives their side of the story while complaining about which group they feel is the true problem. Details are important, do not disregard anything being said by any character. Keep in mind, this game is being released in chapters and there are shaping up to be many different decisions that will affect the balance of power in Iskendrun. The chance to make a different choice is reason enough to pick the game up more than once. Considering the storytelling is done strictly through dialogue, City of the Shroud does a phenomenal job at keeping the player hooked with just enough information delivered little bits at a time. The next major aspect of gameplay is the fighting style. 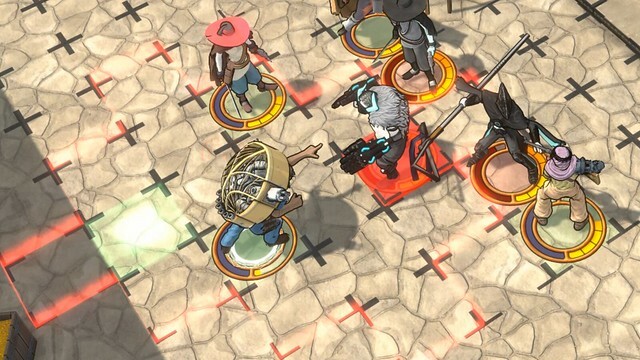 Much of the beginning is a skillfully woven combination of story and tutorial on how to fight. Those that are familiar with this style can skip through the dialogue, and for those that are less familiar will be experts by the end. After completing most of the tutorial, random battle offers became available on the map. The player gradually collects skills of fighters to add to their repertoire. Our readily available classes are Brute, Defender, Duelist, Gunner, Machinist, and Mage. Each one has their own special traits. A Defender can take the hits, while a Brute delivers, and the player can wisely choose from a variety of ranged attacks, like the Gunner or Mage. Each warrior even has different appearances to customize! More importantly are their skill combinations. All attacks, including the special combos, are considered either Power, Fast, or Magic. 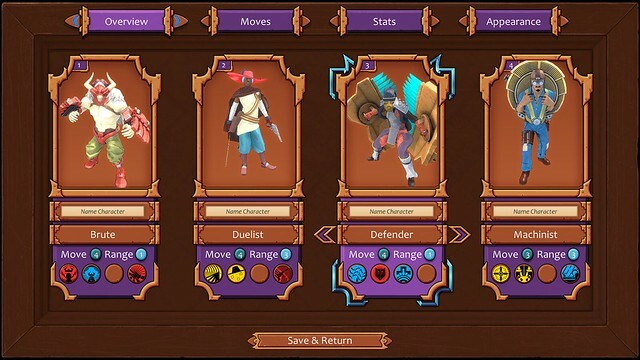 Since the game is played entirely on the mouse for PC, the player clicks on an ability and moves around a dial to form a combo or select another attack. The members of the team can only attack or move when sections of their attack gauge is filled, which slowly goes up over time during the battle. 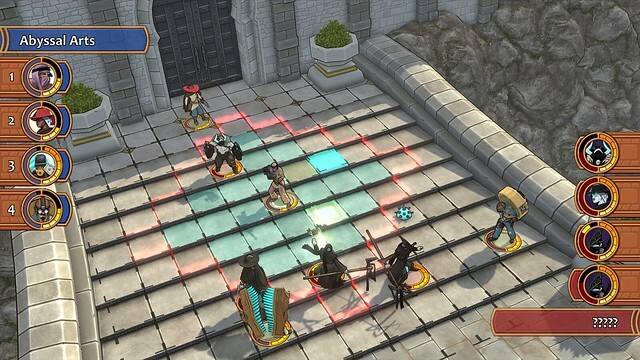 The battles and team members are made of vibrant graphics. Although every effort is made to make it obvious which member of the team is active, I was often confused on which one I had selected. Having to search for the character I was trying to control, to figure out which opponent I could aim at, delayed my attacks and cost precious health points. The battles are easier once a good strategy is formed. There is no shift in music between the map of the city and the selected locations, those ranging from the Nobles’ Quarters to the Temple. Transition between them is quick, probably because there is no new music to load and no need to dash from one end of Iskendrun to the other. Once finished in a location, simply back out to the map and choose the next. However, having a style of music for the Refugee Quarter, where everyone is considered a bunch of thieves, that differs from the City Guard Barracks, who arrest said thieves, would be a nice addition. The track for this screen is easy listening and definitely gives a vibe for the city overall. Music does change once engaged in battle to help the player stay alert and feel the excitement with spot on sound effects! Voice acting might make a nice addition, but already I have created tones for the characters, even the player’s character. Adding voices at this point would leave less to the imagination and take away some of the fun. City of the Shroud is an interesting and fun game from every aspect. The progression to consistent battles may be slow at first, but they are well worth the wait. The story of a once prospering city turned dangerous by inner turmoil, and plagued by monsters appearing from random portals, is one that you will not want to miss. From this game reviewer to the developer, I hope to see character creation in the future, because for me that would make the experience even more amazing. 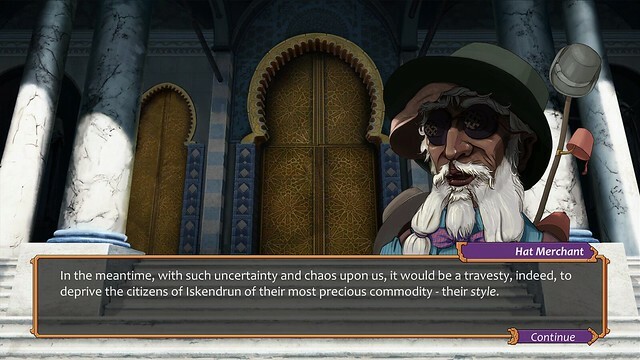 I look forward to seeing where this game is taken, as Abyssal Arts Ltd. has promised that, “Your choices, and the choices of every player, will drive a living story and determine the fate of the city of Iskendrun.” Everyone is sure to find something they love in the episodic game, City of the Shroud. Writing is my passion. Gaming is my hobby. Combining the two just makes sense. That's why I'm fortunate to be a part of GamingLyfe. My favorite game series is The Legend of Zelda. I'm partial to a good adventure game with a story that latches on with its villainous claws and refuses to release me.